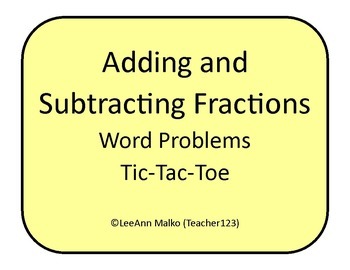 Have your students practice adding and subtracting fractions in word problems in a fun way. This file includes a tic-tac-toe style game with an answer key. ***Please check out my other tic-tac-toe games on different topics.